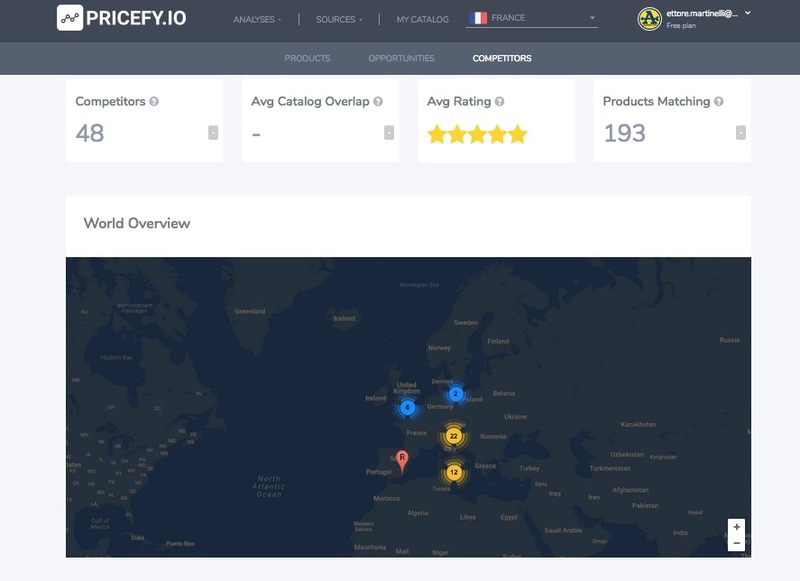 PRICEFY can map your competitors/resellers network in a snap but let's see in details what kind of information we can provide you and where you can find them. 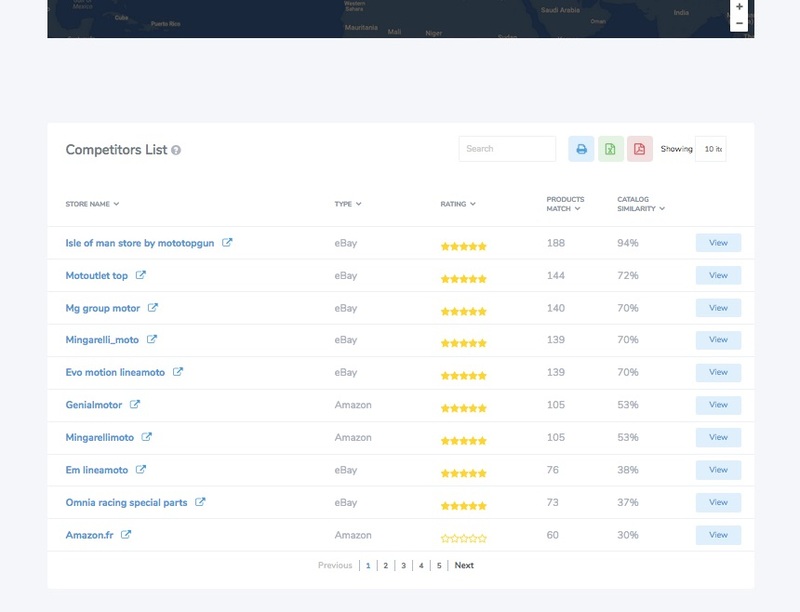 From your dashboard, you could decide to see all your competitor or resellers grouped in one single page, to do that you must click on "Competitors" (or "Resellers" if you are a Brand) menu. 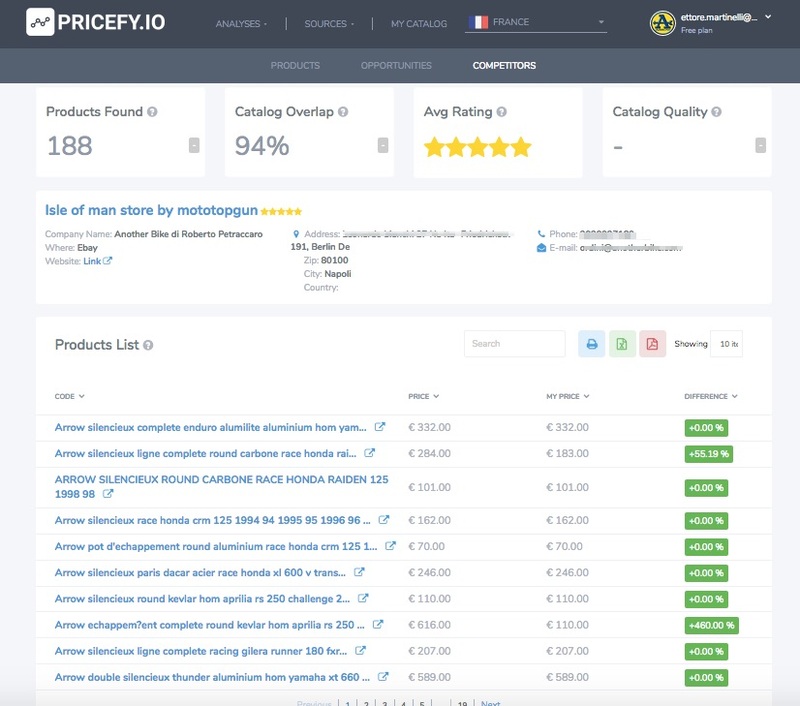 In this page you can have an overview of how many competitors / resellers you have, where are they located in the world, their store rating (customers votes) and how many products of your catalog match. If you scroll down a little bit, you can see the list of your competitors / reseller. Here you can decide to view the details of a single competitor / reseller by clicking his name or check his online store, by clicking the link icon on the right. Let's click on a competitor / reseller title to open the details page. In this page you have all the information we get from this competitor / reseller. How many products you have in common, the catalog overlap, his rating, his company information and mostly important his catalog with the price difference between his product and your, highlighted.